Dear Benefactors, Apostles and Members of the Living Rosary,With gracious respect and deepest gratitude, we thank you for all your prayers, your gifts for the suffering Church in Ukraine, and your love and compassion. You are a missionary right now. You are called to be in the presence of Christ in whatever place you are and in everything you do. Please do not be discouraged when you fail to convince someone to return to the Sacraments, or to trust God. Never get caught up in an argument with them. No one is inspired to conversion by debates. People become defensive when their views are challenged and, then, they close their ears and their hearts, and they cannot listen with understanding to what you are saying. The Holy Ghost grants Understanding; it is His Gift, and He works through love and compassion. The Apostle Paul preached Christ Crucified; not a pleasant topic, but very persuasive in showing God’s Love for us. We preach most effectively by the sacrifices we make for others in His name. Our service and compassion for others is a visible monument to the Love which God bears for each one of us. We must be patient, trust God and continue, day after day, loving the soul, in word and in deed, for whom we petition a return to God. The Grace will be given not because of our efforts, but because God is Good! Let us beg God to strengthen our faith, confirm our hope and increase our love for Him Who has loved us even unto death. May the inward unction of Sanctifying Grace penetrate our souls, soften our hearts, strengthen our wills and consecrate our whole being in the service of Our Savior! We beg all the saints of God, glorious temples of the Holy Spirit, to teach us to adorn the altar of our souls with the bright lights of good deeds and the beautiful flowers of virtue. Let us go forward into this world which is so filled with hate, pouring out the Heavenly Balm of God’s life-giving Love! I carry each of you to the Altar with me and remember your personal needs and those of your family, living and departed. Remember me, please, in your good prayers. Thank you so much for your incredible help for our missionary efforts. Things in the world, in the Church and in our country are critical. It seems almost overwhelming, yet all is in order, the Queen is in charge! When trials afflict us, let us no longer doubt, surrender to discouragement, or complain. Let us lovingly accept this gift from God. From its seed will sprout a stem whereon the flower of life will serenely unfold. When the Blessed Virgin Mary enters into the life of a soul, She causes a radiant springtime to blossom there. Gloomy clouds of sadness, doubt and discouragement vanish, and the heart is flooded with peace and happiness. Would you like your life to be transformed? Would you like to share in the Joy of the Saints? If you sincerely desire this, do not hesitate one second: Go to Mary! There is no more direct way to God than through Mary. By contemplating the Mysteries of the Holy Rosary, you will learn to know her better, love her with greater tenderness, invoke her with increased confidence and serve her with unwavering fidelity. It is Mary who gives Jesus to the world. When we are baptized, we are given birth in the Life of Christ through Sanctifying Grace. This mysterious birth and growth of God within us is the work of the Virgin Mary. No Catholic should have the slightest doubt about this. Our Lady is She who bestows upon mankind the graces Our Savior merited for us by His Most Precious Blood. All the favors of Heaven come to us through the pure Heart of Mary! Are you discouraged by trials? Suffering great tribulation? Have you abandoned prayer? Have you given up hope? Throw yourself instinctively into the arms of your heavenly Mother and pray to her. When you feel you no longer have the strength to murmur a simple Hail Mary, call out to her by her blessed name: Mary, help me! At that very moment, She will cover you with her mantle of grace and protection; She will heal you, console you and comfort you! 2. To go in this way to Jesus Christ through Mary, is nothing less than acknowledging His infinite sanctity and honoring Him in a worthy manner. For, thereby, we plainly acknowledge that, on account of our sins, we are not worthy to approach His infinite holiness directly and we have need of Mary, His holy Mother, to be our advocate and mediatrix with Him. Moreover, we confidently approach Him as our most kind Mediator and Brother, and at the same time, we abase ourselves before Him as our God and our Judge, and thus, practice a most pleasing humility. 3. To consecrate ourselves in this way to Jesus, through Mary, is to place in the hands of Mary all our actions which, however good they may appear, are often spoiled on account of our self-love and self-will. By this devotion, we place them in the hands of our good Mother with the petition that She purify, sanctify and embellish them so as to render them worthy and acceptable to God, and that She herself present and offer our good works to Our Lord. The situation in which we are placed might be compared to that of a peasant who owes his king a great sum of money but has nothing in his possession except some fruit, which is not even in the best condition. Now, would it be fitting for this peasant to take his fruit personally to the king and offer it to him for the debt he owes? Certainly not! If he were at all prudent, he would try to win the favor of the queen and offer the fruit to her. The queen, partly to please the simplicity and confidence of the poor peasant, and partly to show her esteem for the king, would graciously receive the gift; and after removing from the fruit what is not good, she would take the remainder, place it on a beautiful plate of gold and offer it to the king. Could the king refuse to accept the gift, small as it is, if it were brought to him by his loving queen, in the name of the peasant whom she desired to favor? Great and holy God, exclaims St. Louis de Montfort, how little is all we can do! All our income, that is, all the good we perform, is in reality of little more value than the poor worm-eaten fruit of the peasant. But, let us by this devotion place it all in Mary’s hands and God will accept our good works with satisfaction. As we have given ourselves entirely to Her, despoiling ourselves of everything in Her honor, this heavenly Queen will be infinitely more generous toward us than was the earthly queen toward the peasant. For the slightest offering, She will certainly impart to us most precious Graces and blessings. She will give herself to us with all Her merits and Graces; She will place our offering on the golden plate of Her virtues. She will, furthermore, clothe us with the merits of Her Divine Son, Jesus Christ. Thus, shall we as Her slaves, having despoiled ourselves of everything in Her honor, be clad in double garments, namely, the merits and virtues of Jesus and those of Mary, our august Mother. 4. To give ourselves to the Blessed Virgin, is to practice charity to our neighbor in the highest possible degree, for it is to give to Mary all that we hold most dear, all available fruits of our good works and sufferings, in order that She may dispose of them at Her good pleasure in favor of the living and the dead. These words of St. Bernard, writes St. De Montfort, express in substance all that I have said. Was there only this one motive to incite me to the practice of this devotion: that it is a sure means of keeping me in the Grace of God, I ought most ardently to desire and embrace it. Truly, this devotion bestows on us the liberty of the Children of God. As for love of Mary, we have freely made ourselves slaves so She, out of gratitude, causes us to walk with giant steps in the way of God’s Commandments. Mary frees the soul from weariness, sadness and scruples. It was this devotion that Our Lord taught to the Ven. Mother Agnes of Jesus of the Order of Saint Dominic, as a sure means of deliverance from Her interior sufferings and anguish of soul. “Make thyself My Mother’s slave,” He said to her. She did so, and soon all her fears and troubles vanished. Dear Ms. Patti Melvin,I just received the package from the ULRA, consisting of Decade cards, enrollment forms, Rosaries, Scapulars, Miraculous Medals, St. Philomena oil and cords, prayer cards, Newsletters, and a number of other items. I am so overwhelmed with all you have sent us. This is really inspiring. Please be assured our group of students here is doing fine. They remain committed to the devotion of performing the 9:00 p.m. habit of praying the Holy Rosary. We might have faced recent challenges, especially that a strong typhoon struck our country, but we still feel God’s Grace through the intercession of Saint Philomena and Mary, Queen of the Holy Rosary and Mediatrix of All Grace. Dear Mrs. Patti Melvin,We are doing the great work of spreading the devotion to the Living Rosary and Saint Philomena amidst the Revolution which surrounds us. 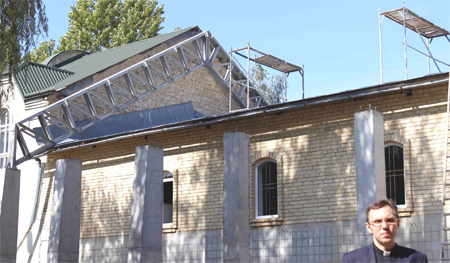 I realize that it is a very complicated and difficult time in the USA also, but I must reach out to ask you, if it is possible to help me with the renovation of the church roof. Winter is coming and I want to protect the church from the rain and snow. My Bishop has put me in charge of this work. The roof has to be repaired before the snow falls. 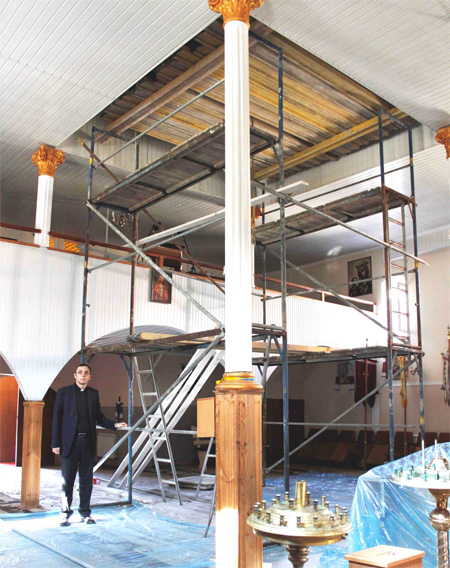 Your help and support will be vital to the restoration of our church. The total cost of the construction of the roof is U.S.D. 36,700.
through PAYPAL using your Credit Card. WE WILL SEND A TAX RECEIPT FOR YOUR DONATION! If payment by Check / Money Order / Cash, please mail it directly to the Living Rosary. Estamos haciendo la gran obra de esparcir la devoción del Rosario Viviente de S. Filomena en medio de la revolución que nos rodea. Yo com-prendo que también es un tiempo muy difícil y complicado en los E.E.U.U. pero, debo extender mi ruego a ustedes, si es posible ayudarme con la renovación del techo de la iglesia. El invierno se acerca y quiero proteger la iglesia de la lluvia y nieve. Mi Obispo me ha puesto a cargo de esta obra. El techo tiene que ser reparado antes que caiga la nieve. Su ayuda y apoyo es vital para la restauración de nuestra iglesia. El costo total de la construcción del techo es $36,700. DLS. ¡Gracias y Dios los bendiga a todos! por PAYPAL usando su tarjeta de crédito. ¡Les enviaremos un recibo por su donativo! The Universal Living Rosary has for its life the very breath of the Holy Ghost and it must necessarily be full of charity; then only will it bring charity to the world. The principle of our labors is to bring the Immaculate Heart of Mary to every individual, that She may form them into Jesus Christ for the Glory of the Father in time and throughout all eternity. We are the soldiers of Mary Immaculate, whose courage in following her Son to the foot of the Cross of Calvary has never been excelled. We are called to be firm of mind and purpose, to cast aside vain fear and to summon all our powers and resources in order to achieve the Triumph of her Immaculate Heart! We must never yield to the spirit of the world, to the suggestions of the powers of evil, to human respect, timidity or tepidity. With the help of the Immaculate, we will meet frustration with resiliency, tepidity with ardor, faint-heartedness with fearlessness, discouragement with fortitude, and cowardliness with gallantry. Souls which could be saved are left alone. Non-Catholics who could be brought into the Church are not even approached! The lapsed are allowed to pursue their sinful course. All this because the Catholic body is paralyzed by the deadly poison of human respect. We must look upon human respect as a soldier looks upon cowardice: it is despised and punished without mercy. What a shame to be a “delicate” member of a Thorn-Crowned Head! Our Petit Manual outlines the authentic organization of the Living Rosary. Any variation means departure from authenticity. Insofar as a group or center departs from the instructions of the Manual, they cease to be the authentic Living Rosary. One variation often leads to another, which leads to yet a third and a fourth. Even though the new creation manufactured by an individual group does valuable work, it is not doing it with the blessings that Holy Mother the Church has given the Association, for it is simply not the authentic Living Rosary. The Living Rosary has developed in a most wonderful way all over the world. This steady development has demonstrated that the official organization is adaptable to circumstances which exist anywhere in the Church. There is never any need for special legislation for special cases or special places. Those who are genuinely convinced in conscience that the organization or system of enrollment needs modification for the circumstances in which they intend to operate, should not start the Living Rosary, but another organization. They, who do not keep the whole rule, are not entitled to use the name of Living Rosary. Clever men think they can pick parts from the original and weld them into a new composite. They may do so but the resulting creation will never possess the sweetness and inspiration of the original Association. You cannot cut out pieces from a living body and make another living body. The result of this species of surgery is a corpse! Self must be suppressed in order for us to work in common. Some are full of zeal, immensely competent, undeniably efficient, but incapable of working with others. It is in moderating our own individuality that we serve the Living Rosary best. We must not try to bend the Association to our own ideas, but adapt ourselves and our ideas as completely and harmoniously to the system as we can. Let each of us, then, be renowned for his fidelity to the Manual. If we notice any deviation or breaking of the rules, it is our duty to draw it to the attention of our local Center or to the Universal Center. You must accept the whole, or reject the whole! FINANCIAL HELP IS NOT OUR MISSION! REFER FINANCIAL ASSISTANCE TO OTHER AGENCIES WHO ARE ESTABLISHED FOR THAT VERY PURPOSE. Every apostle of the Living Rosary is a soldier of Mary Immaculate. We must never forget or under-estimate our privilege. We go to prepare the way for Jesus Christ, NOT TO RADIATE OURSELVES! As soldiers in the army of the Queen of Heaven, we must excel in those qualities which make us the greatest fighting force against evil known to man. We must be invincible and the secret of invincibleness lay in its spirit and its method. The individual soldier must merge his personality into that of the legion to which he belongs. Essential is our unquestioning obedience, utter devotedness, undaunted courage, dogged perseverance and absolute loyalty to the cause in even the tiniest details. These qualities super-naturalized and offered to our Queen will enable her to achieve victory. We must imitate Mary in her humility and obedience. The entire world is the great wide field of our Apostolate, awaiting conquest by the Holy Ghost through the Immaculata and her children. The Living Rosary is a closely-knit Association. Over FIFTEEN Million members are united in one purpose. Every member in the world is connected with every other member. All are united into one; all are connected through the breath of charity. 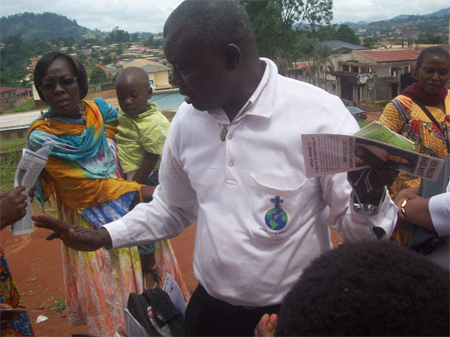 Life flows through these connections from the Heart of the Apostolate to even the smallest group, or single member living in the most remote area in the world. There is a ceaseless flowing of Grace in every direction. If there is a break in unity, life does not flow. It is loyalty which preserves the unity among all. We are not allowed to act independently. When there is a doubt or when a new and difficult situation arises, we must consult the proper authority for guidance or permission. Loyalty bears the fruit of obedience. You cannot really understand obedience unless you have deep faith. Adam sinned because he wanted to rule. That was Original Sin – the desire to rule. Original virtue, then, is the will to serve. We obey because we recognize the authority of God in all those who are over us and follow the example of Christ. To submit our wills to the wills of others, may seem like a spiritual death at times but, when it is necessary to preserve the unity and life of the work, we will bear this death gloriously. Ideally, all the members should be familiar with the work of the whole Association. Routine and apathy will not enter in where there is a lively interest in the progress of the Association everywhere in the world. Obedience will be made so much easier if we can see the army at work as a whole. The Living Rosary Newsletter is not an extravagance or wasted effort. Through the Dedicated Decades, we can see the life of the movement rather than the qualities of the individual members. The Newsletter is vital to the loyalty, respect, support and unity of the Association. We must make every effort to see that the Newsletter reaches all members. It is our “GIFT” to each associate and a great insurance that he will continue to pray and remain in union with the Heart of the Apostolate. We must never lose that Heart! If success comes to us, we thank God for it, but our work does not depend upon it. When failure threatens us, we fight it. The more worthwhile our work, the more difficulties we will encounter. We are always on duty for souls for this is the spirit of Mary. Apathy and the spirit of Mary are contradictory. Mary could never be anything but enthusiastic in the love of virtue and the battle against sin. We must remember that we are not alone. We work for God in union with Mary and, oh, how She longs for the success of our work!!! She is the Virgin Most Powerful. We must believe in her and never forget that, through her prayers, we have at our disposal nothing less than the all-powerfulness of her Divine Son. Our approach to souls must be like that of the Good Shepherd. Nothing in it must be controversial, nothing overbearing, nothing uncharitable and nothing critical! LET US COMBAT ERROR BY PROCLAIMING TRUTH! Our every word must breathe humility, sincerity and affection. When people see that we are sincere, kind and loving, they will not resent our approach. They will like us and that is the first step to bringing the Living Rosary into their lives and uniting them with Mary Immaculate. Remember always, that our Catholic Faith is Goodness, Truth and Beauty Itself! God created the minds of all men to appreciate and seek out what is good, true and beautiful. Let us not by-pass anyone. We must try to attract all to our precious Catholic Faith. Our greatest ally in this is the Holy Mother of God! In His Wisdom, God knows what is best for an Apostolate which is according to His Will. In His Love, He gives it to us. He does not treat us as saints when He knows we are sinners! He does not treat us as learned when He knows we are ignorant! He does not treat us as strong when He knows we are weak! When He graces our work with the Cross, it is always to make it more fruitful. It is ever God’s pleasure to show His Power by extracting success from unpromising conditions and by accomplishing His greatest miracles of Grace through the most inadequate instrument. The more difficult the circumstances under which we have to work, the more indelibly is the Cross imprinted upon our work. The Cross is always the Sign of Hope!!! Where did She whom God loved more than all His other creatures find herself? At the foot of the Cross, with her Soul pierced by a seven-fold sword and on her head the mystic crown of Queen of Martyrs! Each and every associate is united in their desire and prayer to bring about the Triumph of the Immaculate Heart of Mary through the propagation of the Holy Rosary and the Brown Scapular. The sunshine and honey of our work is Saint Philomena who encourages us with visible signs of God’s favor. 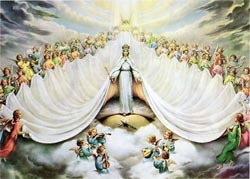 She imparts to us great courage and a solid hope of success in all that we undertake for our Rosary Queen. Mary exists to bring Christ to the world. True union, TRUE DEVOTION to Mary cannot be separated from apostleship. United with Mary, we will mother souls. How Our Sorrowful and Immaculate Mother gazes upon the masses of the human race today, with longing and love: upon the followers of her Son, who are so self-centered, so apathetic, so lacking in zeal; upon the wealthy materialists, upon the hundreds of millions of pagans, upon those who make war on the very idea of religion. Never was, or has there been, a greater need for a bold apostolate. Our privilege and duty as Christians demands that we take an active part in this apostleship. At every moment, we are dependent upon Mary for Grace. This Grace is the very life of our souls. Without it, we cannot breathe spiritually and we will perish. Let us then with all zeal, no matter what sacrifice is required, bring the Immaculate Heart of Mary to souls that they may have LIFE! Let us beg the Immaculate Heart of Mary, our beautiful Mother of Mount Carmel, to make our faith courageous. Filled with firmness of spirit, we will cast aside all fear. O Maria! Let us never submit to timidity or yield to human respect! When failure comes, let us be resilient. When the powers of hell rage around us, let us hold fast for God is with us. Against the falsehoods of the world, may we be faithful and true. May our faith be intrepid, valiant and heroic so that we are brought to the foot of the Cross of Calvary united with thy Sorrowful and Immaculate Heart in life and at the hour of our death! We must believe that we have, at our disposal, nothing short than the all-powerfulness of God Himself! We must strive to make our souls a CITY OF THE IMMACULATE! Let us spare no sacrifice to give Our Lady to souls, and souls to Our Lady. God gives His Graces through the Immaculate Heart of Mary! This Grace is life itself to the soul, and so, our mission is life-giving and vital. Saint Philomena is the New Light of the Church Militant and how badly we need her heroic charity, humility, purity and obedience to all that is the Will of God. 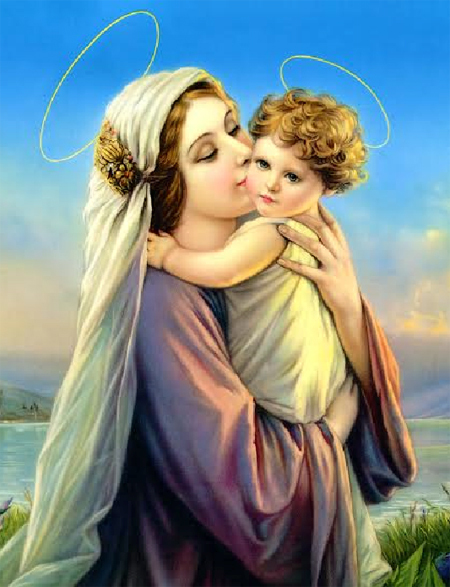 May God and His Blessed Mother be with you in everything that you do, ALWAYS and FOREVER! You are remembered daily in our prayers. Yours in the Sorrowful and Immaculate Heart of Mary and our anchor of hope, Saint Philomena! First Point: We should consecrate ourselves wholly to Mary in order to belong wholly to Jesus. In order to practice this excellent devotion, says St. Louis Grignion, we should first choose some special feast on which to offer and consecrate ourselves to Mary; and we should, then, of our own free will, purely from love, without the least constraint, offer to Mary and through Her to Jesus, all that we are and have, without the least exception or reserve: our body with all its faculties, our exterior property such as our home, our family and our income in order to make use of them as well as we know how, for the honor of and according to the Will of God and of Mary. We should dedicate to Her, moreover, our spiritual and interior treasures, namely: our merits, Graces, virtues and good works, not only of the past and present, but also of the future; in a word, all that we have or may have in future, in the order of nature, of Grace or of glory. All this, we should dedicate to the Blessed Virgin without reserve, for all eternity, not expecting any recompense for our sacrifice other than the honor of belonging to Jesus in Mary and through Mary. By this Act of Consecration, we sacrifice to Jesus through the hands of the ever-blessed Virgin Mary, that which is most precious and dear to us. We forfeit the right of disposing of the interior value or fruit of our good works, prayers, alms, mortifications, etc. so as to leave the entire disposal of them to the Blessed Virgin, to be applied as She wills for the great glory of God, which no one knows better than She. Moreover, by this devotion, we give to the Mother of God all our prayers and good works that She may distribute and apply them to whomsoever She pleases. After having made this oblation though not by vow, we are no longer masters of our good works, prayers, etc. for the Blessed Virgin may apply them according to Her good pleasure: now, for the relief of a suffering Soul in Purgatory or, again, to obtain for some poor sinner the Grace of conversion. After making the Act of Consecration, we may continue our prayers and other devotions just as before. We may pray for ourselves and for others as formerly. If Our Lady sees fit to apply our prayers according to our intention, She will do so; if not, She will apply them to a better purpose. 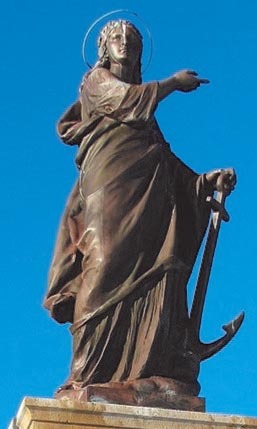 In any case, we may be quite sure that She will not neglect our obligations of justice and charity. By giving ourselves in this manner unselfishly to Mary, neither the Souls in Purgatory, nor poor sinners, nor our friends, nor we ourselves will be the losers. Finally, we give to Mary, in virtue of this True Devotion, our actual merit which we obtain through every truly good work. Certainly, the increase of Sanctifying Grace and heavenly reward which we merit in justice by every good work performed in the state of Grace is our own, and we cannot and do not hand it over to anyone else. But, we can offer it to Mary in the sense that we ask Her to preserve our spiritual gains and make them increase. Second Point: We should give ourselves to Mary in the Quality of Slaves. This devotion consists, furthermore, in giving ourselves to Mary in the quality of slaves, as Her full possession. St. Louis Grignion mentions three kinds of slavery. The first is the slavery of nature: all men, good and bad, are the slaves of God in this sense. The second is the slavery of constraint: the devils and the damned are the slaves of God in the second sense. There is nothing left for them but eternally to suffer the punishment they incurred through their own grievous fault, and thus be monuments of God’s terrible justice. The third is the slavery of love, and it is in this sense that we ought to consecrate ourselves to God through Mary, as being the most perfect way in which a creature can give himself to his Creator. According to his nature, man must necessarily belong to God. But man can, of his own free will, ratify God’s right over him. And, since Mary is the only creature perfectly conformable to the Will of God, we can best give ourselves to Him through Mary and, with all confidence, permit Her fully to dispose of all we have or ever can have. Happy, a thousand times happy, the generous soul who magnanimously consecrates herself entirely to Jesus through Mary as a loving slave! What a vast difference to be a slave of Mary or be a slave of Satan! By living willfully in mortal sin, one becomes a slave of Satan. BLESSED BE THE HOLY NAME OF MARY! Time flies by so quickly that the months roll into years. Never are you far from us in thought and prayer. Your love and support have helped us reach mission areas that otherwise would have been neglected. The foundation of this work has been made strong through your incredible charity. Both you and your family are remembered in our every prayer. God love you! We must take time weekly, if not daily, to examine our homes for signs of demonic influence which can stealthily creep into them through open doors and windows. Use of the horoscope, satanic music, novels and magazines that glamorize the godless, iPod, iPhone, zodiac and charms are ever increasing. Look around you and see that people are pierced, painted, and tattooed: the young and the old, the good and the bad. These signs of the demonic surround us every day. People laugh off the notion of the Power of Evil and consider it trendy to take part in occult practices. The demonic influence which surrounds us today is a very real threat to our families’ spiritual wellbeing. We are called to be holy and without sin in the sight of God. We have been Baptized and Confirmed and, in these Sacraments, we have renounced Satan and all his pomps and works, and the empty promises of his kingdom of darkness. The evil one can tempt us but he cannot touch us directly unless we open the door for him. He promises to give us special knowledge and powers which he cannot give: magical powers, vision into the future, and dialogue with the spirits of the dead. Horoscopes, Ouija boards, crystal balls, witchcraft, voodoo, good luck charms and hard rock music which glorify Satan, are always dangerous. The New Age Movement, an impersonal energy or force. is a form of pantheism and belongs to the occult. Our homes must be shielded from these influences. We are assaulted by them at every turn: TV, computer, iPod, game station, radio, Nintendo and every popular electronic device. We are not professed religious but as baptized Catholics we possess a mighty power that so often goes unused. The Power of Prayer is greater than we can ever begin to comprehend! In every family, there needs to be a place in the home where the members come together and pray, an oratory with Crucifix, pictures of the Sacred Heart of Jesus and Immaculate Heart of Mary, holy water and peace, where all gather together each day as a family: our bulwark against the assaults of Satan, the sanctuary of our Daily Decade for the Triumph of the Immaculate Heart of Mary! The Blessed Virgin Mary is an excellent and easy means by which to find Grace with God. Only a few Christians have all the necessary qualities for being inflamed with the love of God and obtaining great Graces from Him, but there are none who could not easily obtain these Graces through the Blessed Virgin. Even sinners should not abandon hope in this regard. “Mary is the hope of sinners!,” says St. Augustine. “Mary is the refuge of the wretched, the aid of the whole world,” declares St. Ephrem. Our Divine Savior willingly grants to Her what we ourselves are unworthy to receive. “Because thou wast unworthy to receive it from God, it was given to Mary that, through Her, thou might receive all thou hast,” St. Bernard tells us. God has made Her the dispenser of His Graces and decreed that Graces should come to us only through Her hands. Let us have tender devotion to the Mother, and soon we will be inflamed with love for Her Son. In order to mount to God and be united with Him, we should use the same means He employed in descending to us. He came to us through Mary; He assumed our human nature in Mary; He imparted the plenitude of His Grace to Her that She might impart it to us. If God in His eternal Wisdom chose to come to us through Mary, should we hesitate to go to Him in the same way? If Mary found Grace, will we not also find Grace in Mary? True devotion to the Blessed Virgin Mary is for us the means to find superabundant Grace. But, there are several kinds of true devotion to Mary, which St. Louis de Montfort restricts to three and, in which, the rest are included. The first is good, the second is better, and the third is by far the most excellent. The FIRST consists in fulfilling the duties of a Christian in general, avoiding mortal sin and keeping the Commandments of God, more from a motive of love than of fear, in fulfilling the duties of one’s state of life, and in praying from time to time to the Blessed Virgin and honoring Her as the Mother of God, without however having any special devotion or affection toward Her. The SECOND consists in having for the Blessed Virgin sentiments of highest esteem and love, strong confidence and fervent veneration. This leads one to join Her Confraternities, to pray the Rosary, to honor in a special manner Her images and altars, to take delight in listening to Her praises, etc. This devotion is holy and praiseworthy, well adapted to withdraw us from creatures and to detach us from ourselves, in order to unite us more closely with Jesus Christ. The THIRD devotion, which is known and practiced only by chosen souls, is that which I am about to disclose to you, beloved friend, says St. Louis de Montfort. It consists in giving ourselves entirely to Mary as Her slaves and as Her full possession that, through Her, we may belong wholly to Jesus Christ; and, in such a manner, that we do all our actions WITH Mary, IN Mary, THROUGH Mary and FOR Mary, with the intention that we may be able to do them more perfectly with Jesus, in Jesus, through Jesus, and for Jesus, for the glory of the Heavenly Father. 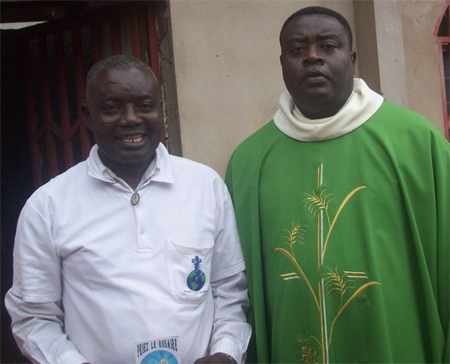 Today, at St. André (French Parish, Elig-Effa) at 10:30 a.m. Mass, the ULRA was introduced with the help of the Parish Priest, Fr. Daniel Ewolo and his assistant. After a brief explanation of how the Living Rosary Decade is prayed, Fr. Daniel invited the congregation to meet us after Mass. 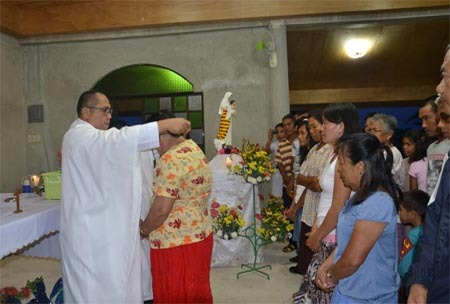 The parishioners enrolled themselves as well as their entire family members. Father wants the family to be built on prayer. As you can see in the various photos, many members lined up to enroll. They were very delighted to receive the Rosary leaflets, prayer to Ven. Pauline, Miraculous Medals, Novena prayer of St. Philomena in French and most importantly to hear the testimony of Fr. Tchad. 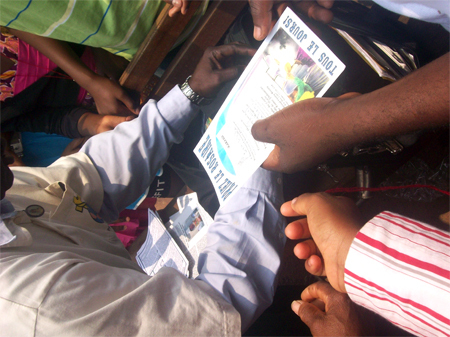 More Parishes and schools are being contacted every day. I collected two priority boxes last Friday. Thanks for the biography of Ven. Pauline; I am still waiting for the biography of St. Philomena. God bless you and our benefactors. Ave Maria! Daily, we are remembering you at the Holy Altar. At this challenging time, we are very keenly aware of the strength of our union through prayer and charity. We pray that our Sacred Masses will enrich and sustain you in your daily battle to remain virtuous and strong in the difficult days which lie ahead. This world is a place where Truth and falsehood dwell side by side. In the beginning, Truth alone was to be found. The devil introduced a lie in Paradise, and now there is great duplicity at every turn. How mighty is the tree of falsehood; how thick are its branches! Beware of false prophets! My purpose today is to talk about ONE false prophet and expose it in all its hideous deceitfulness. I refer to the opinion that it is not so very wrong to tell a lie, that under certain circumstances, it is necessary. Beware of this false prophet! Both reason and religion teach us that even the least, and most unimportant, lie is sinful and therefore forbidden! God is Truth itself. He hates and abhors, and positively forbids every lie. The devil was the first liar and, through his lies, he led our first parents to the Original Sin which plunged the entire human race into misery. The liar disfigures his soul and he becomes an enemy of God. Take care, then, never to depart from the Truth. God punishes lying very severely. Most people do not scruple a lie, especially when in doing so they injure no one. The world is full of deceit. The world reasons that surely it may depart from the Truth in order to maintain peace at home, or with neighbors, for gain or to avoid quarrels and strife. Yet, in every one of these cases lying is sinful and reprehensible. It is not possible to imagine circumstances in which it is allowable to utter a lie. This is the doctrine of Holy Mother the Church. Let us never speak ill of another person as, through our speech, we may destroy his reputation and ruin his family. God forbid! Let us praise, uplift and compassionate our brothers and sisters in Christ. In whatever they may have wronged us, through our charity, it will be repaired. Much too often we look to the eye of our brother seeing the cause of our demise, when actually it is due to the downfall of our own pride and deceptions. How important for us to be humble, honest, truthful and sacrificial in our outreach to mankind to prepare the way for the Kingdom of God that it may touch the very hearts and souls of mankind! We appreciate so much your love and sacrifice for the Church in Ukraine which is suffering greatly during these days of revolution and persecution. 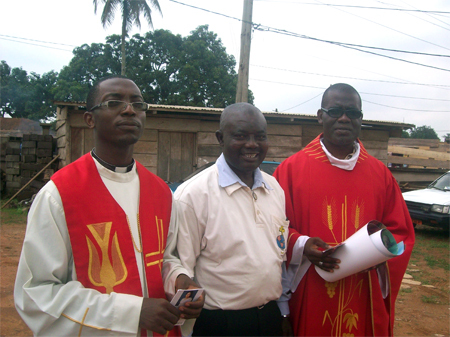 We offer up our sufferings for those in West Africa, who are plagued with the deadly Ebola virus. May God shower His Infinite Mercy upon us all! There is no creature, nor will there ever be one, in which God is so highly exalted as He is in the Blessed Virgin Mary. She is the unspeakable world into which the Son of God has entered to work His marvels and to take His pleasure therein. Mary is the City of God, the living throne of God! Happy, thrice happy here below, the soul to whom the Holy Spirit reveals the Secret of Mary; yes, reveals Mary herself! Happy the soul to whom He opens this garden enclosed, permitting it to enter therein and have access to this sealed fountain, so that the soul may draw there from and drink deeply of the living water of Grace! Such a soul will, without the aid of any other creature, find God and God alone in this most sweet creature. There is no place in which the creature can find his Creator nearer to himself and more proportioned to his weakness than in Mary, for it was for this end that Christ descended to Her. Everywhere else He is, as it were, the Bread of the strong and the Bread of Angels but, in Mary, He is the Bread of children. When Elizabeth called Mary blessed because she believed, Mary glorified only the Most High by exclaiming, “My soul magnifies the Lord.” (Lk. 1:46) What Mary did on this occasion, She continues to do always. If She is praised, loved, honored and extolled, God is thereby praised, loved, glorified and extolled by Mary and through Mary. Whatever is given or offered to Mary is in reality given to God through and in Mary. When we have once found Mary and, by Mary, Jesus and, by Jesus, God the Father, we have found all friendship with God, all safety from the enemies of God, all truth as opposed to falsehood, complete victory over the difficulties of salvation, all sweetness and all joy amidst the bitterness of life. Through Mary and by true devotion to Her, we obtain all good and every Grace. 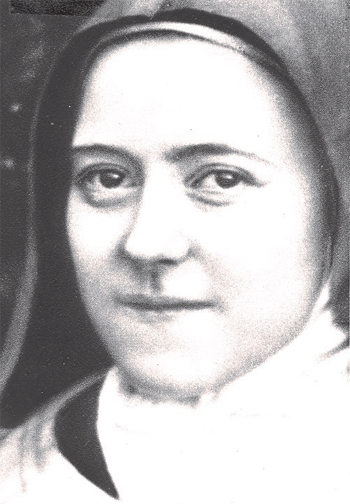 Through Her, we find all friendship with God and all sweetness amidst the bitterness of this life. Yet, we must not conclude that they who have found the true devotion to Mary will be exempt from crosses and sufferings. On the contrary, they may be assailed by more trials than others, because Mary, the Mother of the Living, gives to Her children portions of the Tree of Life, the Cross of Jesus. But, in choosing their special crosses, She obtains for them the Grace to carry them with patience and even with joy, so that the crosses are rather sweet than bitter. If Her clients taste the bitterness of the chalice which they must drink in order to be the friends of God, the consolation and joy which this good Mother gives, after the sorrow, encourages them exceedingly to carry still heavier crosses and endure still more bitter trials. Yes, even while they are carrying their crosses, Mary enables Her faithful and special servants to endure their suffering more easily, more meritoriously and with a greater claim to future glory. What would be an obstacle a thousand times to another or cause him to fall, will not retard the progress of Mary’s child, but will further it. This good Mother, full of Grace and the unction of the Holy Spirit, will sweeten with the honey of Her love and goodness the bitterness of these crosses which She herself prepares, as fruit is sweetened by sugar; so that, although naturally disagreeable and bitter, Her faithful servants receive them joyfully as though they were full of sweetness. And, I believe, adds St. Louis Grignion, that no one who desires to live piously in Jesus Christ and consequently suffer persecutions, will ever be able to carry great crosses cheerfully and perseveringly, without having fervent devotion to Our Blessed Lady. On a small golden chain around her neck was a brilliant Crucifix with a yet more brilliant Christ. From either arm of the Cross stood out the hammer and open pliers. 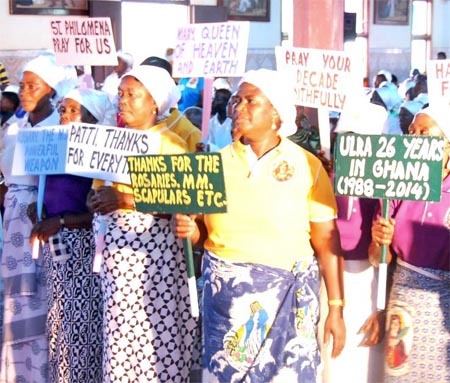 The beautiful Lady reproved men for the desecration of the Holy Name of Jesus, neglect of the Sabbath and disregard for the Laws of the Church. Her rebukes were mingled with odious announcements which bore the stamp of the Queen of Prophets. She asked the shepherds if they said their prayers well, morning and night. Our Lady’s benediction wafted down from her Alpine shrine of La Salette and shed its saving balm over a weary and sin-sick world. She, whom the Church proclaims Our Life, Our Sweetness and Our Hope; She who is the Cause of our Joy! The apparition of Our Lady at La Salette took place on the eve of the Feast of Our Lady of the Seven Dolors. Oh, what a sea of tears and sorrow Mary was tossed upon when She beheld in her arms the Body of her Divine Son taken down from the Cross, blood drenched, wounded from head to foot, pierced by a lance and lifeless. Noah spent 100 years building what was to be the symbol of Our Lady, Reconciler of Sinners, that is to say the Ark, which was destined to be born like the Spirit of God, upon waters, above the highest mountains. In this Ark was to be saved a small number of the elect. The people laughed at Noah who was a true spectacle: old, and without any knowledge of building or navigation. Yet, sudden cessation of all mockery came when the water rose seventeen thousand cubits above the mouths of those who laughed. Borne on the water, the Ark of Salvation ceased to be an oracle of wrath and became, in truth, the honored Vessel of the world’s hope! They alone will be saved and truly reconciled who implore Mary’s protection and seek her as their last hope! Mary is Sovereign; Mary is Mother! The submission She requires of us concerns her glory, which is God’s eternal desire. Mary is the House of God, the Portal of Heaven. Her sovereignty is the meeting ground for all the contradictions of Pride. Taking away from Mary this crown of universal sovereignty is an infringement on God’s Glory; it is also a stemming of God’s Grace, depriving human nature of its participation in divine life. The all-powerful Suppliant, to whom God refuses nothing, has to come down from Heaven, weeping, to tell us the news of her helplessness. When Heaven has recourse to means such as these, the need must be appalling! Man is borne up from earthly things with two wings: Simplicity and Purity. With sovereign authority, Mary tells us that the source of our wrong lies in our will and nowhere else. We are wretched creatures created to obey, and we refuse to submit! The message of La Salette contains terrible implications, but the future will most likely tear off the veil of mystery and reveal the text translated into blood on every hearthstone in the land. People will not submit and the City of God suffers violence. The Angels and Saints are sounding this alarm in Heaven! The Mother of God has wept. She has given birth to us in the order of Grace – that alone suffices to make us understand how faint are the effusions of our own cowardly hearts. If Mary had not wept, the soul of man would have become parched and withered. What sorry creatures we are. The responsibility rests upon each one of us, but our pride revolts at the word chastisement! We look for natural causes through scientific explanations that contain no room for God’s intervention. 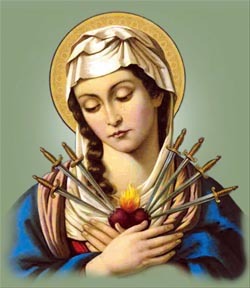 Through her martyrdom, Mary has become in a special way the comforter of the afflicted. In the company of our Sorrowful Mother, we will walk more easily, fight more courageously, and suffer more patiently. When the Hand of God lays a heavy cross upon our shoulders, let us turn to Mary sorrowing and then we shall obtain consolation and strength to carry the cross with patience, perseverance and joy! WITH MARY, EVERYTHING! WITHOUT MARY, NOTHING! encouraged them. Also, I gave three Certificates of honor as awards to our good Archbishop Emeritus Peter Kwasi Sarpong, Rev. Fr. 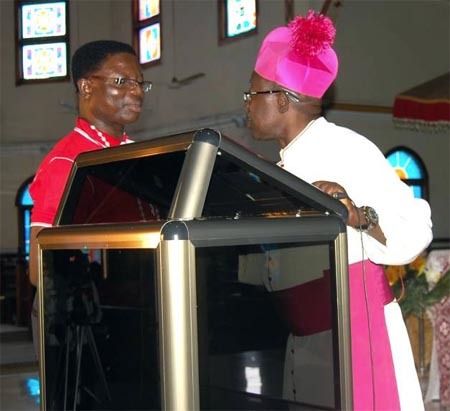 Prof. John Appiah Poku and Rev. Fr. Augustine Ntim Duodu. All these awards were presented by Most Rev. 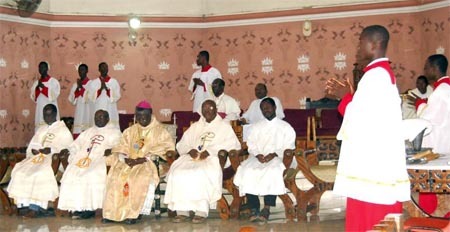 Gabriel Justice Yaw Anokye, Archbishop of Kumasi. On August 25, just five days prior to the Conference, I received very sad news from Most Rev. 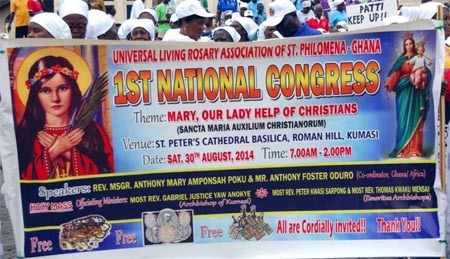 Peter Kwasi Sarpong, Archbishop Emeritus of Kumasi, informing me that he was extremely sorry that he could not attend the Congress because he had a bad fall which had resulted in him being fitted with Plaster of Paris. “I am sure Our Lady of Holy Rosary will bless you all!” Therefore, his Certificate of Honor was received on his behalf by Most Rev. 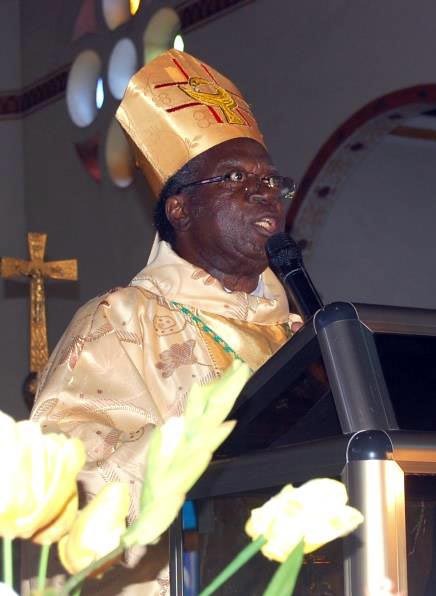 Thomas Mensah who is also an Archbishop Emeritus. I will write the THANK YOU LETTERS to the Bishops, Parish Priests, and Leaders throughout the Country to show my appreciations for all who took part. Yes, many souls were won for Jesus through the Immaculate Heart of Mary and in honor of St. Philomena, our Patroness and Protectress. Today, I would like to inform you about the situation in Ukraine and our Living Rosary Association Center. I want to assure you and all the members of Living Rosary that the Center which is in Western Ukraine is far from the war zone and it is functioning very well. We do not feel the conflict in this part of the country. Our priests are offering all the Sacred Masses you have requested, and we do pray every day for all the members of Living Rosary and for all the intentions which our members mention. The enrollment in the Living Rosary grows each day because many people realize that the Virgin Mary is the Protection of God to save Ukraine from Russian takeover. This month, the Living Rosary Center published the church calendar for the New Year. We share with all the people the information about Saint Philomena and the Living Rosary Association. 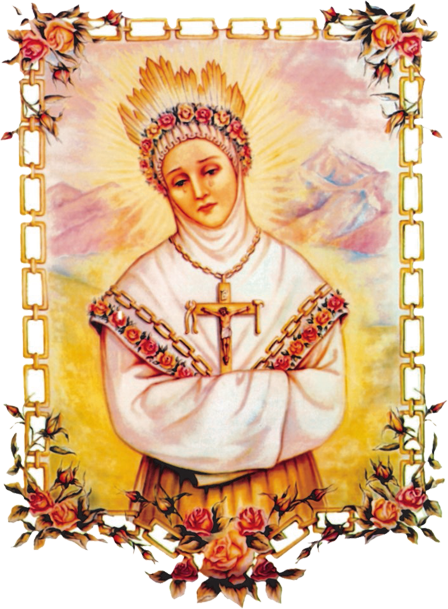 Therefore, we send to all the new members Rosaries and the prayer book which has information about our Saint Philomena and the Living Rosary. 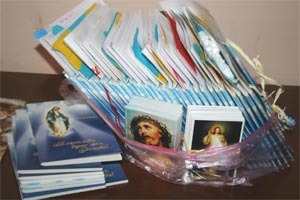 This month, we were able to send many prayer books to the troops in the Eastern Ukraine along with the Rosaries, Scapulars and Miraculous Medals which you sent me. Our Ukrainian troops protect our independence and the freedom of the Catholic religion in Ukraine. Please keep them in your prayers. Dear Mrs. Patti, I am involved in the construction of our church which is in very bad condition. I have to accomplish this task because the bishop asked me to renew the parish and rebuild the church. The Living Rosary at the parish is helping me so much! The ULRA is making parish prayer strong and dynamic. I do feel the financial difficulties with the rebuilding of the parish but I pray to God and the Virgin Mary to help me in this situation. The Center of the Living Rosary is focusing on devotion to Saint Philomena, Confession and Holy Communion. This makes people spiritually strong and changes their lives. At the present moment, we are welcoming more children to the devotion of Saint Philomena. We designed the prayer card and prayer book for the children with information about Saint Philomena and her story of how to become a saint. Many people are writing letters telling us about the power of the intersession of Saint Philomena. Therefore, I wish to thank you, dear Mrs. Patti, and all the members of the Living Rosary for your generous support and loving care for all our members in Ukraine. We hereby ask you to continue supporting our most important mission among the youth and children of Ukraine. Dear Apostle of the Immaculate Heart of Mary,Thank you for your very gracious donation which is a crowning glory to God’s holy Mother. Mary is the House of God and the Portal of Heaven. Without Mary, the life of Grace is hindered and many are deprived of its divine stream. Through your immense love, the Virgin of virgins spreads out over the whole world Her azure mantle fringed beneath with celestial light, like an imperial pavilion, covering the whole world that the human race may find sanctuary. May God reward you! Dear Patti,I sent an e-mail some weeks ago thanking you for the many gifts. I am only worried that you did not receive it. We are so blessed with the Sacramentals. I remember Earl so well, who made the lovely chaplets in crystal glass beads for our beloved Princess. Patti, the world is in a desperate situation. We are so near Turkey and the Middle East. We are rightly worried about the threat of Islam. God help us all! Meanwhile, we turn to the Immaculate Heart in whom we trust to deliver us unto her Divine Son, our only Lord, Redeemer and Savior. May that be a comfort unto us in these perverse times! Thank you, Patti, please pray for us. I continue to offer the Holy Mass on the First Saturday of each month for the Living Rosary members of the Scapular Confraternity. Dearest Patti Melvin,Greetings of love and peace! On August 22, the Feast of the Immaculate Heart of Mary, the Holy Sacrifice of the Mass was offered in our chapel (Sacred Heart and Immaculate Heart). It was a very special day, since the Archdiocese of Cebu is also celebrating the Feast of Mary, Queen and Patroness of the Visayas. Attached here are group photos of the people in our chapel, together with our Parish Priest, Monsignor Alfredo Romanillos, Jr. Everyone who attended the Mass was imposed with the Brown Scapular. Almost all who attended the Mass are members of the Living Rosary. 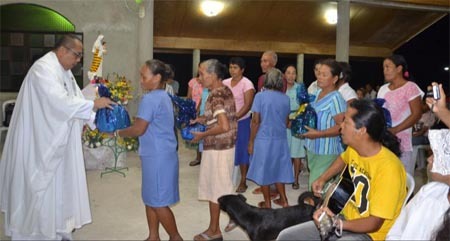 The members were very happy and grateful when we told them that the ULRA helped in the rebuilding of the chapel and we are able to continue the monthly Mass here. We also pray the Rosary in our chapel. With your help, we were able to place a roof and ceiling in our chapel, the Stations of the Cross and the three crosses were rebuilt and electricity was installed there. Once again, thank you very much for your support! However, there are still many things lacking in our chapel. Right now, our chapel has no side walls yet and we are using plastic chairs and the Altar floor has no tiles. We are praying that there will be generous donors who will sponsor the altar pews, walls and the tiles in the chapel altar. Please include us in your prayers that we would be able to fulfill this dream. May Jesus, Mary and St. Joseph and St. Philomena bless and protect you, your family and our benefactors, always! In this deification and transformation to which our souls are destined by the Will of God, Mary is the mold and the form, so to speak, in which our souls are to be cast. He, who is in this mold, is soon transformed and molded into Jesus Christ, and Jesus Christ is molded in him. In a short time, he will become conformable to God and will resemble God. The first is after the manner common to all true Christians, by keeping the Commandments, by prayer, by worthy reception of the Sacraments, by striving for true virtue without, however, practicing any more excellent or special devotion to the Mother of God. The second way is the particular manner in and with Mary, making use of all the means just mentioned but, while applying them, submerging oneself as it were, entirely into the interior of Mary by the true devotion which is about to be explained and by abandoning oneself wholly to the operation of the Holy Spirit. To explain this truth, St. Louis Grignion de Montfort uses a comparison. He says, one can make a lifelike statue in two ways: By carving the figure out of some hard material, using skill, strength and good instruments or by using a mold. He then continues: It seems to me that I can aptly compare directors and devout persons who wish to form Jesus Christ in themselves or in others, to sculptors who trust in their own professional skill. How hard they must work to bring out the image of Our Savior from a piece of hard wood or rock, and how often it happens that their work is spoiled because they do not know Jesus Christ sufficiently or make an awkward blow! Those who embrace this True Devotion to Mary which I am revealing, may be compared to founders and casters who have discovered the beautiful and perfect mold of Mary, where Jesus was naturally and divinely formed. Without trusting in their own skill, but only in the perfection of the mold, they cast themselves in Mary, in order to become more truly and perfectly changed into the likeness of Jesus Christ. O beautiful and true comparison! But remember, unless a person is earnestly intent on overcoming his evil inclinations and truly imitating Christ and His Blessed Mother, he cannot be transformed into Jesus or Mary. Whoever is cast in the mold of Mary by this true and perfect devotion to Her, whoever gives himself to Mary without hindering Her by his evil inclinations, receives therein all the features of Jesus Christ, Who is true God; and this is done gently and in a manner well fitted to our human frailty. After St. Louis de Montfort has shown in these eight points that Mary is the means decreed by God through which we receive from Him all good and every Grace, and by which we are actually transformed into Her Divine Son, he breaks forth in praise of Mary. He pronounces those blessed who find Her through this holy and sublime devotion. St. Louis Grignion de Montfort says that God has chosen Mary for His treasurer so that all His Graces and all His gifts pass through Her hands, and no gift is bestowed on men by Heaven except through Her virginal hands. Many doctors of the Church hold the same opinion. Mary has given being and life to the Author of all Grace and, on this account, She is called the “Mother of Grace.” In Mary resides the fullness of Grace, Jesus Christ, that She may impart Grace to the members of Jesus Christ, Her true children. This is taught by Saint Bernard and Saint Jerome. As in the natural order, a child has a father and a mother, so in the order of Grace, a true child of the Church must have God for his Father and Mary for his Mother. If anyone glories in having God for his Father without at the same time having a tender, filial love for Mary, he deceives himself and is still far from the way of truth. The Holy Spirit, having espoused Mary, produced in Her His Masterpiece, Jesus Christ, the Incarnate Word; and as He has never repudiated Her, He continues to produce in Her and by Her, in a real though mysterious manner, His elect, whose names are written in the Book of Life. Mary has received from God a special dominion over the Children of God. St. Augustine affirms that, during their present life, all the predestined are hidden in the womb of the most holy Virgin in order that they be conformed to the image of the Son of God. Here, they are guarded, nourished and made to grow by that good Mother until She brings them forth to glory after death, which the Church calls the birthday of the Saints. Consequently, as the child draws all its nourishment from its mother who gives it to the child in proportion to its weakness, so, in like manner, do the predestined draw all their spiritual nourishment and strength from Mary. On the festivals of the Blessed Virgin, the Church applies to Her the words of Holy Scripture contained in Chapter 24 of the Book of Ecclesiasticus: “Let thy dwelling be in Jacob and thy inheritance in Israel, and take root in My elect.” It is as though the heavenly Father said to Mary. “My Daughter, let thy dwelling be in Jacob,” that is to say in My elect, typified in Jacob. It is as though God the Son said to Her, “My dear Mother, let thine inheritance be in Israel,” since Israel, the chosen people of the Old Law, typifies the predestined of the Kingdom of Heaven, “Thine inheritance shall be the predestined.” Lastly, it is as though the Holy Spirit said to Mary, “Strike thy roots, My faithful Spouse, in My elect.” Whosoever, then, is elected and predestined for life eternal, has the holy Virgin dwelling with him in his soul; (St. Louis de Montfort does not here infer that Mary is present in our soul as God is present by Sanctifying Grace, but morally present by Her attentiveness to our existence and our needs, and Her cooperation with the Holy Spirit in forming Jesus in our soul.) He is Her inheritance, Her possession, Her entire property. He allows Mary to strike in his soul the roots of Her unshaken faith, Her profound humility, Her all- embracing mortification, Her sublime prayer, ardent charity, firm hope and all of Her other virtues. In Mary, and in Mary alone, God became Man without ceasing to be God. In a similar manner, man also can be spiritually remodeled in Mary and be transformed into God in as far as human nature is capable, through the Grace of Jesus Christ. Mary, together with the Holy Spirit, has produced the most sublime Being whichever was or ever will be, the God-Man; and She will consequently produce the greatest Saints toward the end of time. The most fervent servants of Mary are destined for the time of greatest tribulation. 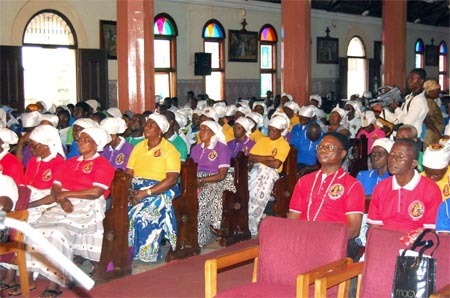 Dear Mother Patti,Today, the ULRA was introduced to the Parishioners of Our Lady of Seven Sorrows, Nkolbisson, Yaounde. The Parish Priest, Father Nicholas allowed us to talk to the people the urgency and importance of Our Lady’s Message at Fatima and the simplicity of the Living Rosary. After Mass, quite a number of Parishioners followed us outside the Church where we set up our stall. 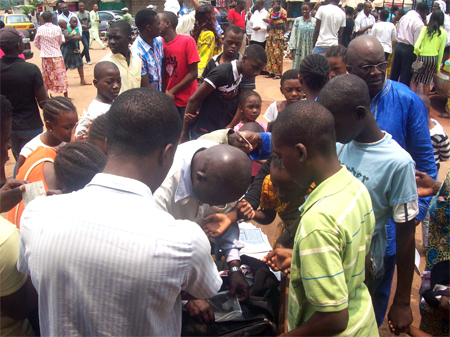 Many adults and children came forward to sign up for their Decades including two religious Sisters who run a girls College. One of the Sisters, Sister Boniface Marie wished to work with us as soon as the school reopens on September 8, 2014. The children were given Miraculous Medals. We took a large quantity and were able to distribute to all who came forward for it. It is worth noting that the people appreciated the white Medals than the previous ones that changed color. 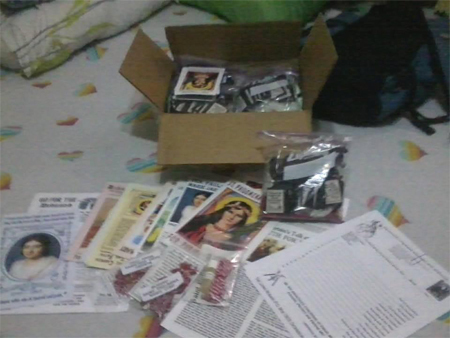 I hope that you would send us boxes of Rosaries of different colors, Rosary leaflets in English and French, booklets on the Life of St. Philomena and Ven. Pauline Marie Jaricot in English as people want to know about their biography. 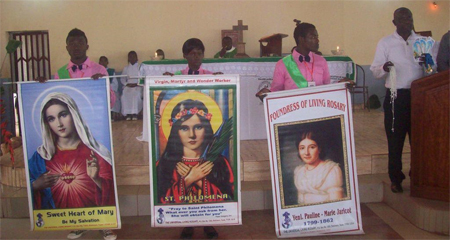 Also, please send St. Philomena Novena leaflets in English and French. I am Mr. Weldann Panganiban, a teacher in Malabon City. I was invited by Ms. Letty Morales to join the Living Rosary, and be a fervent devotee of St. Philomena. After a miracle which happened in my life, thanks to the Saint’s intercession and that of Our Blessed Mother, I vowed to spread devotion to our dear little Princess, and to her Queen, Queen of the Holy Rosary and Mediatrix of All Graces. 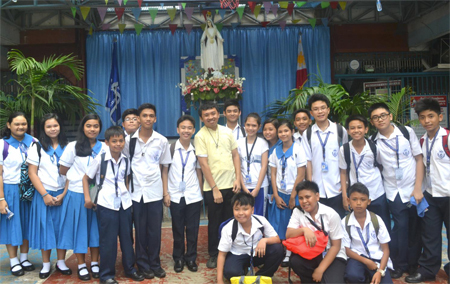 This group is composed of students and teachers who voluntarily offered some of their time to pray to the Lord. Every day, at 9:00 PM, we stop from whatever we are doing and pray for our intentions and that of our family and all those dear to us, most especially, for the Triumph of the Immaculate Heart of Mary, under the inspiration of St. Philomena. 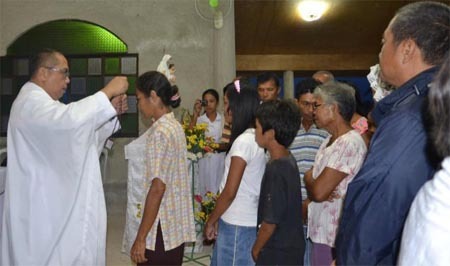 They are also enrolled in the Living Rosary, wear the Scapular and cord. 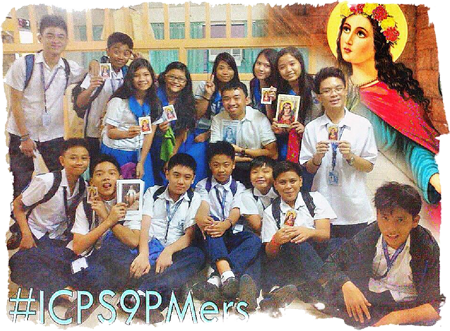 In our faith sharing, they told us how St. Philomena helped them to become good and holy students. 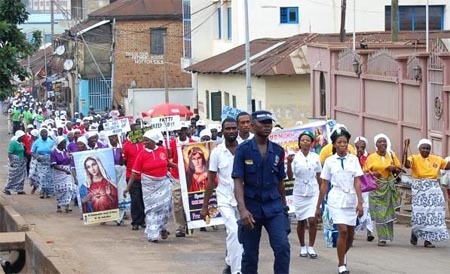 Some had their vices stopped, some had good grades in the past quarterly examinations, and some had little encounters with St. Philomena who helped them in many ways. As I thank God, Our Blessed Mother and St. Philomena for this wonderful grace in the life of our students, I would like to ask for your favorable help with our undertaking. More students are coming, and we have little resources to use. I would like to knock your humble hearts to help these students further their understanding of the importance of prayer and living a holy life. Dear Apostle of the Immaculate Heart of Mary,Your generous donation reached us last week and how deeply grateful we are for your love, sacrifice and apostleship. The power, beauty and spiritual balm that nourish souls through our union is something which simply cannot be grasped by us upon this earth. The help you have given will be a great strength for us to reach souls in mission countries; the areas that are the most hard-hit by war, persecution and death. We have arranged special Masses for you and keep you daily in our poor prayers. Perfection does not consist in receiving great gifts from God, but in simply adhering to the Will of God in all imaginable situations in which Providence may place us, whether interior or exterior. We ought to desire our progress and perfection only as much as God wishes it and by the means He wishes. The whole rule of our life is God’s Will. On the last day, we will be judged in accord of our good works. Our good works are those in accordance with God’s Will at the moment we do them. They are a renunciation of self; they are the gift of ourselves to God. It is right to desire our own salvation and our own perfection, but we ought to desire it not only for our sake, but still more for God’s sake, because He wishes it and has made us for Himself. Charity is not a love which wants to receive, but a love which longs to give. God’s Love is always a gift, always Charity! We live in God, bathed in His action upon us through the creatures around us and our own reactions to them. We can be perfect, here and now, by being exactly as God wishes us to be here and now. This moment is the most precious of all moments. No other moment is in our power. We need not worry about what is to come; by hope, we abandon to God the care of tomorrow. Our holy perseverance, death and eternity are all in His Hands. It is only in the present moment we can merit, act and love. We must have confidence in Him for the past and for the future. He insists on this as our safeguard against worry and despondency: the great dangers of all dangers! 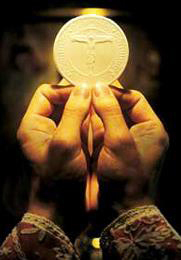 Upon this, God insists the Sacrament of the Moment! If we seek Him, we have found Him! We have been created to know God, to love Him and serve Him in this life, in order to possess Him in the next and be eternally happy in this possession. Not for temporal happiness have we come into this world, neither to become famous, obtain high honors, great wealth or comforts nor to live according to our desires. We are here to seek God, to do His Divine Will, to become holy and attain to Eternal Salvation. Sanctity of life and eternal happiness: This is the expression of the Will of God in our behalf; this is our sublime vocation, the end for which God has created us according to His image; this is why He has given us understanding and a free will, our bodily faculties and all other gifts; and for this purpose, He has preserved our life and intends to prolong it. To this end, all our thoughts, words and works, all our sufferings and endeavors should be directed. What an admirable work: Darkness to be changed into light, clay of this earth into an immortal being, sin into holiness, the creature into a partaker of the divine nature and man into a son of God! Admirable work, I repeat it, says Saint Louis Grignion de Montfort, but very difficult in itself and impossible to mere nature. All the achievements of the human mind and all the knowledge of the world cannot bring us a step nearer to this supernatural end. God alone can do this by His all-powerful Grace. “Soul, what will you do?” De Montfort asks. What means will you employ to attain to this infinitely sublime destiny for which you have been created and called by God? And he replies: The means of salvation and holiness are known to all. They are mentioned in the Gospel, explained by the masters of the spiritual life and have ever been made use of by the Saints. They are true faith, childlike confidence in God, observance of the Commandments, a worthy reception of the Sacraments, frequent prayer, humility of heart, constant combat with our evil inclinations, conformity to the Will of God and perseverance in doing good. To practice these virtues and to use these means of holiness and salvation, the Grace of God is absolutely necessary. God, though infinitely good, does not give equally great Graces to all nor at the same time; yet, because He wills that all men be saved, He gives to everyone, even the greatest sinner, necessary and sufficient Grace for his salvation. Without this necessary and sufficient Grace, it would be impossible for anyone to work out his salvation. God gives to all men especially the Grace of prayer. If we make proper use of it, we can obtain all other Graces. This truth is reiterated by very many spiritual writers. Thousands, yes, millions of souls have obtained salvation through Mary, through Her merits and intercession without which they would never have obtained. However, not for individuals alone has Mary obtained most wonderful Graces, but whole nations have, through Her, obtained knowledge of the Truth and Salvation. St. Alphonsus Liguori says, “It is well-known that, by devotion to Mary, Saint Bernardine of Siena sanctified the people of Italy and St. Dominic, by the same means, converted many provinces in France and Italy.” And, let us add that St. Louis de Montfort, by this particular devotion to Mary, delivered a great portion of France from the gloomy and despairing doctrines of the Jansenistic heresy. 1. The first stage consists of accepting and assenting to God’s Will as it manifests itself in all the circumstances of our lives. 2. The second stage is actively doing God’s Will at every moment of our lives. 3. The third stage is to be so completely abandoned to God that one is a pliant tool in His Hands. It is not God’s Will that people hate, fight one another or murder others, but He allows this evil to become part of His plan for our salvation. It was not the Father’s Will that His Son be killed, but Jesus freely sacrificed Himself for the sins of mankind. Many of our sufferings come from the hands of hateful and cruel men; nevertheless, it is the Father Who asks us to drink this bitter cup. It was so for Jesus, and it is the same for us. Suffering does not signify a lack of love on the part of the Father; suffering is not in vain if it bears redemptive power. God makes use of evil in such a superb way and with such skill that the result is better than if there had never been evil. Nothing falls outside of God’s plan. All that is in God’s Will brings us peace of body and soul. He is always there. Everything speaks to us of Him. We must die to ourselves, and let God form our lives from moment to moment while we continually consent to His action. We seek Him in great things, while He continually communicates and reveals Himself to us in small things. How often it happens that God allows a difficult and evil person to provide what is needed to make us saints. If we do not dare to walk hand in hand with God, whose hand shall we choose to hold? Can God lead us astray? He knows exactly what we need. Everything He gives us is carefully measured out according to our needs. How much energy we expend in resisting God! Have confidence! If you do not receive what you feel you need, trust God that you do not need it. God has experienced the indifference, hardness and cruelty of mankind. He has suffered through all your anguish, loneliness and despair. Everything that wounds you has wounded Him first. He has freely taken all of it upon Himself. Never can you say that you are alone in what you suffer. Our Eucharistic Lord comes to us wounded and sacrificed! May our suffering be most meaningful and fruitful! God is there in our lives in everything that happens. Obedience to God’s Will is something that influences and permeates our whole existence. Our Blessed Mother lived with Her eyes continually turned toward God, Who speaks to us from without and from within. We hear His word from the Bible and through the Church. For a Christian, the Church is Mater et Magistra. A Catholic never chooses anything but obedience and nothing more: God’s Will be done on earth as it is in Heaven. The mark of a Catholic is Patience! Only a humble man is patient. We often live in the past and in the future. The only thing that matters is the present: to be docile, attentive and obedient to God’s Holy Will now! Let us not listen to our conflicting impulses, “I like” “I don’t like.” The deep will within us wants God, moves towards Him, and finds its satisfaction in Him alone. 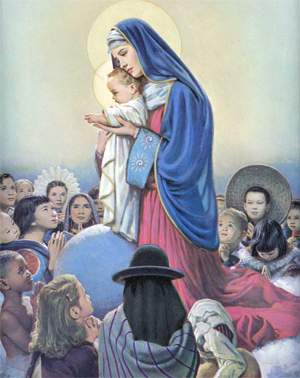 (Extract from TRUE DEVOTION TO MARY)The Apostolate of “True Devotion to Mary” begun by St. Louis-Marie Grignion de Montfort at the turn of the 18th century, is reaching its full flowering in our days when Mary is voicing Her appeal and holding forth Her maternal arms to a world badly in need of Her powerful assistance. True Devotion so warmly advocated by this Saint is a genuine pearl which, if regarded with the eyes of Faith, surpasses all the treasures of the world; it is an excellent means which the Most High taught him, as he himself says, and which he was not able to find in any book, old or new. De Montfort was not inclined to teach this True Devotion or Mary’s Secret, as he terms it, to all without distinction, but only to zealous Christians, to those who specially venerate the Mother of God and, in general, to all who are of good will, and who are earnestly striving after sanctity. To impress upon us that we cannot hope to understand and fully comprehend this True Devotion by reading it just once, its saintly author adds that, on account of the multitude and grievousness of our sins and our secret attachment to self, we will at first but imperfectly appreciate it. The more, however, we make use of this devotion in our daily lives, the better we will understand its value and excellence. Jesus, Our Savior, came to us through Mary, His Mother, and through Her hands are given to us all the Graces that we receive – Graces merited by His Passion and Death. Through Mary’s hands, therefore, we may well offer to Jesus all that we are and all that we possess, so as to belong, through Her, entirely to Him. Such is the Montfort way: To Jesus through Mary! The manner of offering is given in the Formula of Consecration which he composed (see page 22 – Booklet available at the Living Rosary Association). It begins with profound adoration of Our Savior, Jesus Christ, thanksgiving for the benefits of Redemption, contrition for sin and hope for pardon. It acknowledges the sublime dignity and power of Mary, the Virgin-Mother, in the work of our salvation and, then, proceeds to offer everything to Jesus through His holy Mother. 1. Brenda was a student at St. Pius boarding Primary school in Rombo, Tanzania. Last January, she suddenly had a severe problem with her vocal system. She failed completely to speak. She was sent to several hospitals, but their effort to help her was fruitless. Her head teacher gave the advice to transfer her to a special school for the dumb. The parents had no funds and they failed to do this. Instead, they took the child to live with her grandmother in Moshi. Brenda’s grandmother was a ULRA promoter. She introduced the child to me, the diocesan chairman, and I provided her with the holy oil of St. Philomena. Her grandmother put a drop of the oil on her tongue. It was the evening hours. The next morning when Brenda awoke, she shouted out! It was miraculous that she received her speech again. Thank you St. Philomena! 2. Raymond was suffering with diabetes and heart disease. He was in a serious condition and admitted in the hospital for 7 months. We brought the St. Philomena oil to him and put a couple drops in a cup of fresh milk. After he swallowed it, he began to get well. By the third day, he was completely recovered. Doctors were amazed. He went for his check up and it was found that he had neither heart disease nor diabetes. He was discharged from the hospital. Till now, he is without symptoms. 3. Tommy is a student at St. John Bosco Seminary. He was clothed with the Scapular by a priest on June 2013 with other ULRA members at the Cathedral. In September, Tommy left for classes and he forgot his Scapular. In that very day while the students were in class, their dormitory caught fire due to a short circuit. All the students’ possessions were burnt except the Scapular of Tommy. The bed upon which it lay was not touched by the flames. The rector was amazed. Thank you, Our Lady of Mt. Carmel! Thank you for the holy oil and other Sacramentals you sent to us. We had a baby here who did not move his bowels for many days. The parents brought her to the doctor but nothing would help. 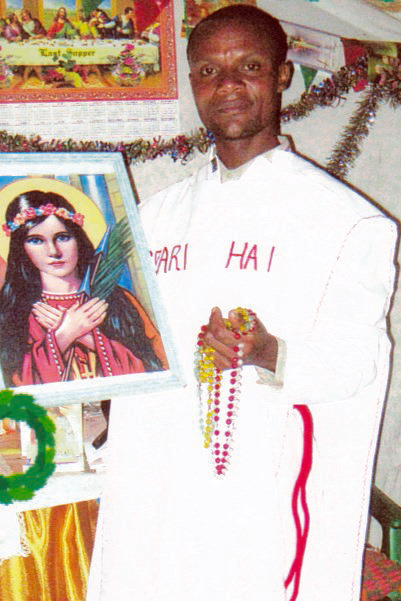 When I heard about it, I gave the father the blessed oil of Saint Philomena and instructed him what to do. It worked, the parents were so grateful and the baby is doing well. There is not one among the Angels and Saints in Heaven whose heart is capable of compassionating our sufferings like the Heart of the Blessed Virgin Mary! Children of Mary, you who suffer illness and affliction, do not confide them to creatures, entrust them to the compassionate Heart of your Mother. All you who are afflicted and suffering, go to Our Lady and tell Her of your distress. Weep, if you will, and She will console you! Her Soul was transfixed with a sword; She understands full well your grief. Mary is the Health of the Sick. From the cradle to the grave, tears and sufferings are man’s inheritance. From the Heart of Mary goes forth the saving virtue which cures all our ills. Yes, by the intercession of Our Queen, the lame walk, the blind see, the deaf hear, the paralyzed recover the use of their limbs and the dying return to life! The walls of Her sanctuaries are covered with votive offerings, silent witness to the gratitude of those She has miraculously cured. Our Lady draws, as She wills from the Heart of the Divine Physician, the balm which cures our bodies and souls. Mary feels great compassion for the diseases of our souls. How many sick Christians there are whose souls are weak in faith, in piety and in fervor! Mary loves to listen to their sighs and answer their prayers. If Mary has healed bodies, how much more She delights in helping the spiritually blind regain their vision, paralyzed souls walk with strength, and lukewarm Christians regain their earlier fervor and walk courageously. Let us bring them all: those in their last agony, those on cots and in wheelchairs, the sick, the weak, and the dying, to the Queen of Heaven, Help of Christians: Our Life, Our Sweetness and Our Hope, and place them before the Sacred Tabernacle, wherein dwells the Divine Physician. We allow ourselves to be operated on by a man who may easily make a mistake which could cost us our lives. But, we protest when God sets to work on us. The chalice of suffering He offers us may be a bitter one, but has He not reddened it with His own Blood? We must not be grieficken that God is sharing with us the greatest mark of His favor, The Cross! During the Month of October, as we celebrate the great victory of Our Lady of Fatima and Our Lady of Lourdes over suffering and sickness, let us bring our sick, our suffering and our dying to the foot of the Holy Altar to be bathed in the Most Precious Blood of Jesus through a Holy Mass Bouquet spanning the 31 days of October. Please list your loved ones who are suffering physically, spiritually or emotionally, so they may take part in this Holy Mass Bouquet. A lovely Mass card will be sent out to you for each one you enroll. SUGGESTED STIPEND DONATION: $5.00 each for Enrollment in the OCTOBER Bouquet of 31 days of Masses for your Sick and your Suffering: PRINT VERY CLEARLY EACH NAME! protect you from every evil and all harm. woman’s hands. Man is influenced by truth, but woman is guided by her heart. justly evaluate the proper worth of woman. but united together on the Cross, it brings forth Divine Life! and the Trinity are generated and developed in the radiance of the Altar. 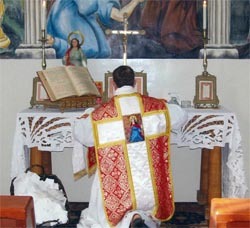 in the Sacrifice of the Altar. successors of Judas, yet willingly surrendered Himself to their will. him who sang the Lauda Sion Salvatorem! and saints of paradise you too, be silent for a while, do not sing! the name of humanity purchased with Your Precious Blood! to pole elevate the Host and the Chalice. And heaven and earth would reply: “Hosanna! Hosanna! Amen. 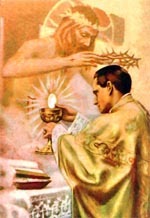 the Son, the mediator of the Holy Sacrifice of the Mass! You are currently browsing the Universal Living Rosary Association of Saint Philomena (ULRA) blog archives for October, 2014.